Read more "Crawfish Boil Today!" 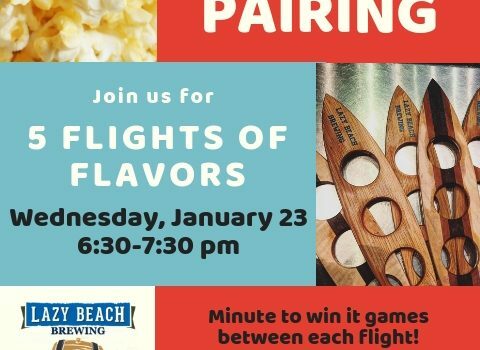 Read more "Weekly Brew News 1/31"
Read more "Weekly Brew News 1/24"
Read more "Popcorn & Beer Pairing this Wednesday"
Read more "Weekly Brew News 1/17/19"
Read more "Popcorn & Beer Pairing"
Read more "Second Saturday Shindig!" Read more "Cheers to the weekend!"